In a stressful city like New York, it’s important to find moments for yourself. That may be a trip to a masseuse, finally making it to your favorite gym class or sleeping in an extra twenty minutes on the weekend. 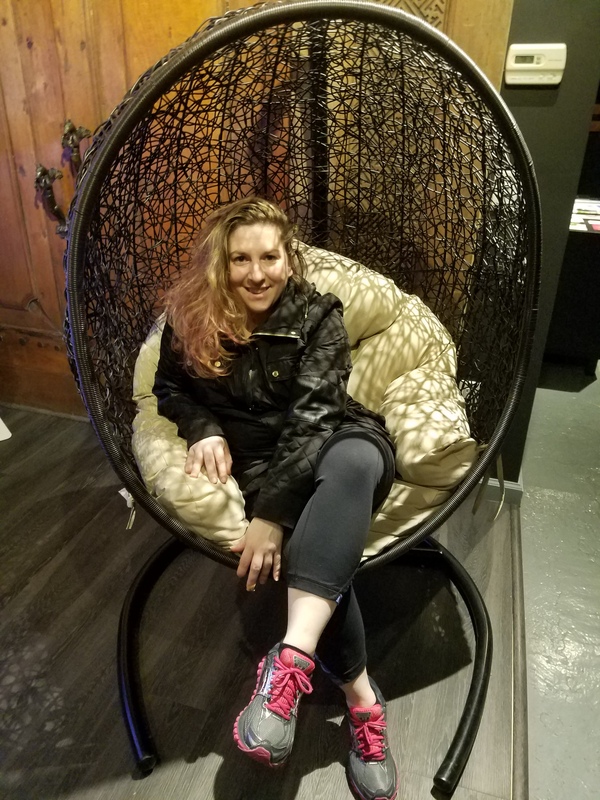 For me, I’m attempting to find my inner Zen and I found that Modrn Sanctuary, a luxury wellness center for health and wellness, is a space where that is possible. At Modrn Sanctuary there are several ways to relax, rejuvenate and escape the demands of city life. 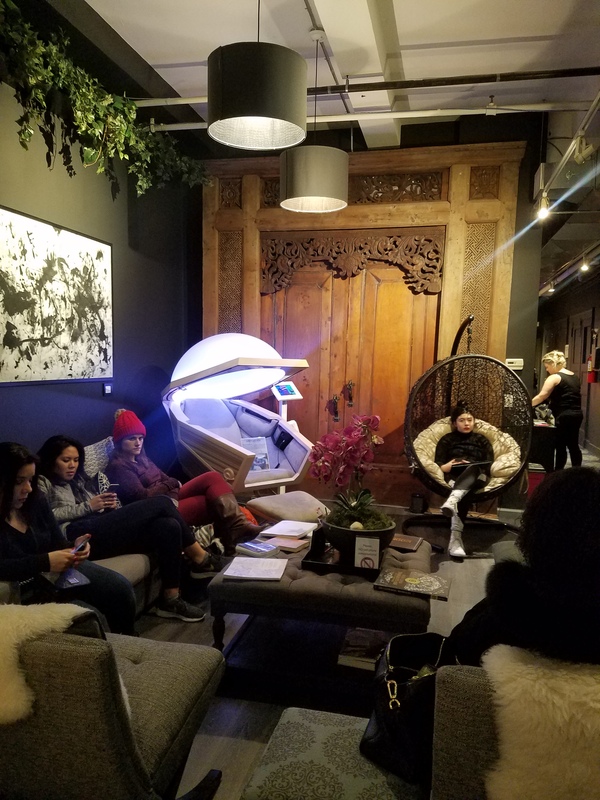 In the heart of the NoMad, the 5,000+ square foot space is a haven to calm your senses with the blending east & west and old & new to create a unique and soothing balance. There are both traditional and alternative practices that are offered at Modrn Sanctuary by more than 18 practitioners. Unlike most sterile medical environments, the center is chic, cool and inviting from the moment you step in. Your wellness journey can be with a practitioner or one where you are finding your own inner peace. The holistic health practices include cupping, acupuncture, hypnotherapy, reiki and energy works, aromatherapy, craniosacral therapy and more. 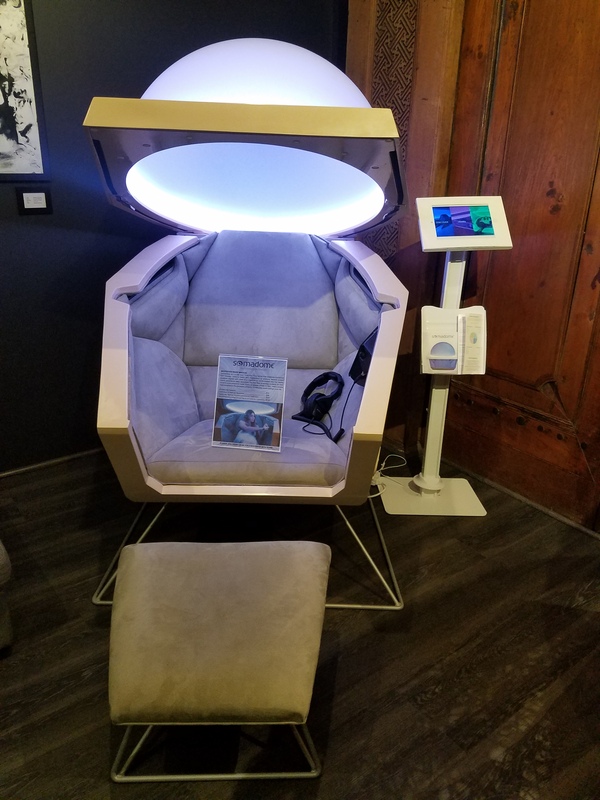 If you’re looking for an individual journey try meditation made magical in the Somadome, a powerful sensory experience in the Crystal Light Bed or what I experienced, a session in the Himalayan Salt Room. 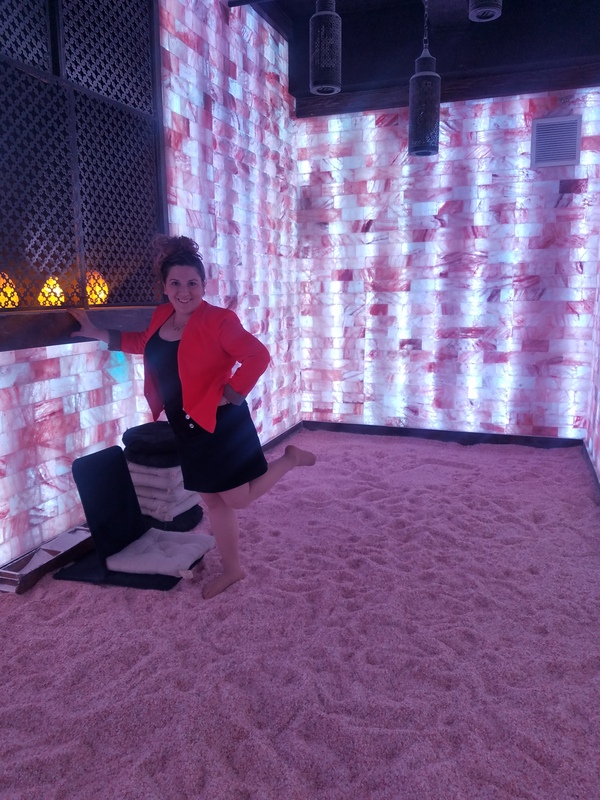 I took a salt room meditation class geared towards self-love and appreciation. 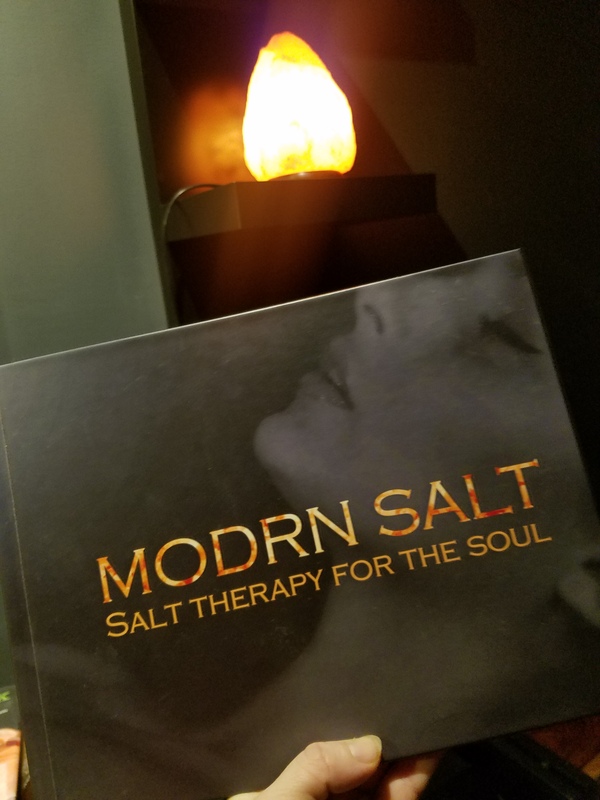 Modrn Sanctury offers both classes and the option to book the room for 30 minutes to sit and soak in the salt powers (with the possibility of two others sharing the space at the same time.) 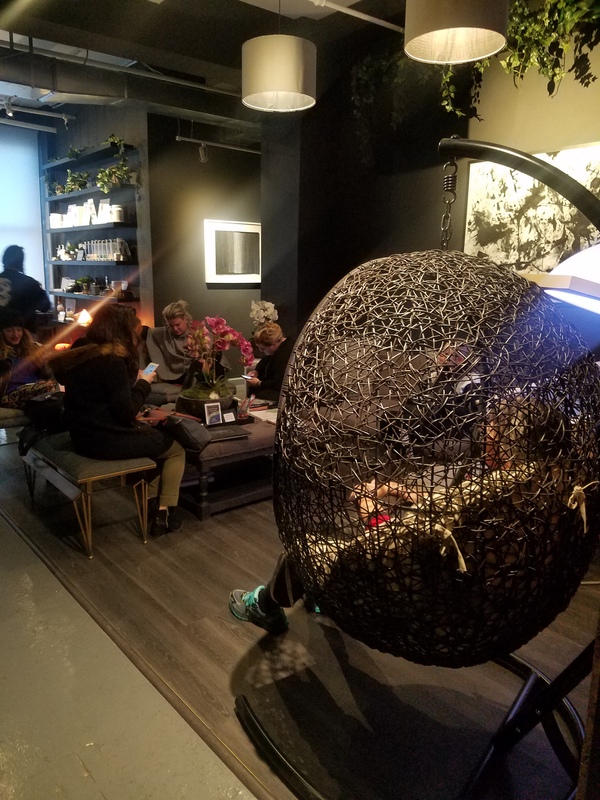 The Self Love Workshop & Meditation was taught by Yogeeta Sawh and was both a mediation session and group dialogue about how to better love oneself. There was laughing, tears, moments of silence and of course the benefit of the salt around us. 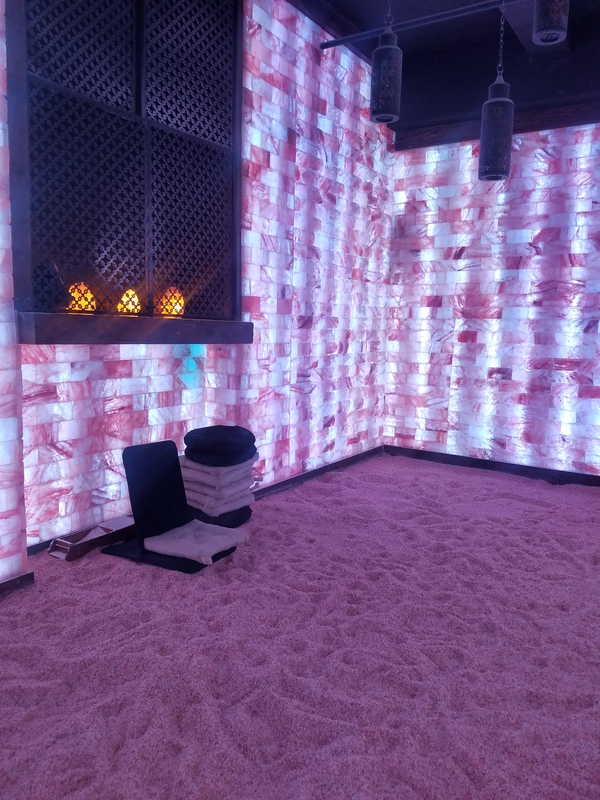 Salt therapy, also called halotherapy, is a holistic method that reproduces the natural micro climate of a salt cave by dispersing saline aerosol in a high concentration in a room whose surfaces are covered with layers of salt. Himalayan Salt is said to help with migraines, alertness, allergies, concentration, the immune system and more. So next time you find yourself needing to unwind, escape to Modrn Sanctuary.